As a full service interior design firm, our goal is to make our clients lives easier and create homes that are both practical and stunning. Here at In Detail, we work closely with our clients to analyze their lifestyle needs and the potential of their space whether it is a new build in the construction phase or a complete remodel. Our process includes providing detailed space planning solutions, project management and design specifications that afford a clear vision of the end result. We then meticulously execute this plan from beginning to end handling every detail. This allows our clients to relax and trust the process knowing that our experience and depth of knowledge will help avoid costly mistakes and culminate in a finished product that is uniquely beautiful and functional. Below you will find a brief step by step description of our full service interior design process. For an “In Detail” review of our services or to schedule a consultation, please contact Liz at 850.437.0636. Thorough plan review (or plan development) for new construction, stalled construction, or basic remodel of a home or interior space. Development of thoughtful and realistic space plans, to-scale floor plans and elevations for your space. Discussion and review of plans to ascertain feasibility and limitations with any contractor or subs who will be involved. Design research and compilation of concepts to help provide visual language with which to communicate ideas and initial inspiration. Product research, specification analysis and presentation of selections for your space to you via digital mood boards and catalogs. Compilation of fabric, finish and material swatches to give you hands-on reference during presentations in our resource room. Spreadsheet development and budget management for tracking the overall costs of a project as final approvals and selections are made. Ordering and receiving of all product procured for your job, including management of check ins and claims as necessary. Management of timeline for install both in terms of integrating subcontractor install needs and order of operations on a job site. Project management as applicable for smaller remodels when a contractor may not be needed but someone needs to be in charge of scheduling and coordinating timelines for work to be done and site inspections. Regular site visits to confirm progress and double check plans provided by our design team are being properly executed in your home. Coordination of final install with furnishings, accessories, lighting and art. 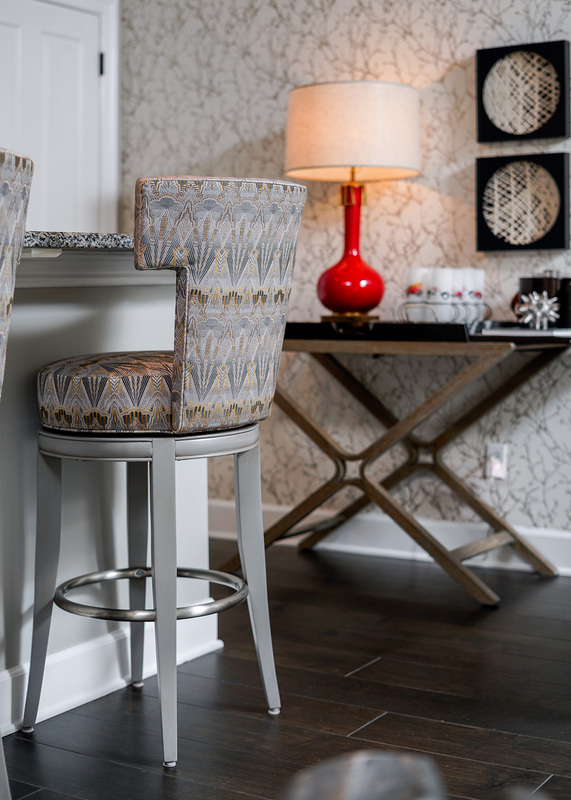 If you think you’re in need of full service interior design, schedule your consultation today! Full service design- let us take the stress out of new construction or remodeling! Remodels of condos, single family homes and vacation homes. Have a condo or beach home to get rental ready? We can handle this for you turn key! We work with people across the country. In Detail designed our entire condo taking it form the bare studs to fully furnished with every detail. We love her blend of classic and uncommon to create something memorable and anything but boring. if you are looking for help to create a beautiful space, look no further than InDetail. We have now hired her again. We are renovating our current home and she is assisting with design and and finishings. We anticipate something beautiful!"